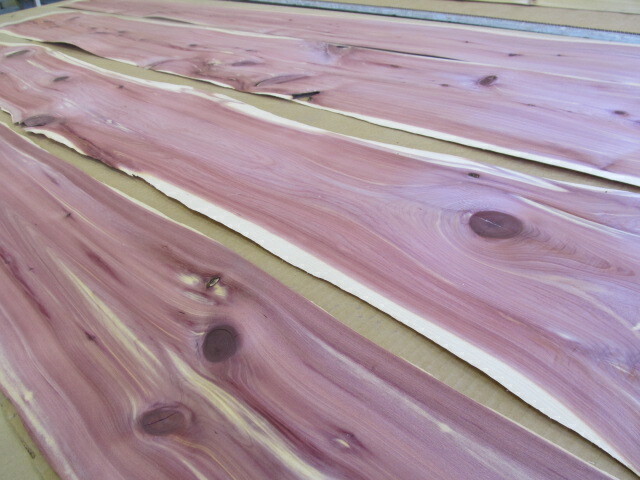 Cedar – Eastern, Red is one of the most interesting domestic woods. Although ancient Egyptians used Eastern Red Cedar to create wheels, today it’s common uses range from lead pencils to the famous Cedar storage chests. In fact, the aromatic nature of Eastern Red Cedar creates a familiar smell of home. Source: Occurs over most of eastern two-thirds of United States. Largest production in Southeastern and South Central States. Color: Light red, streaks of light. Pattern: Knotty with other natural characteristics always present. Characteristics: Although brittle, it is regarded as a fine wood to work. Uses: Cedar storage chests, lining of closets and chests; pails; small articles of woodenware; lead pencils.